and it MUST be an accessible, reliable & FREE service to the users. the PUBLIC (your clients) a search option to find RELIABLE TRADERS. We are not in the business of data collection. We are not the expert in YOUR trade. We are simply the CRITICAL LINK between the TRADER and the USER. the power of the masses is real! Reliabuild.co.za is an online platform where you will be able to explore and learn about trades and businesses within this diverse population. Reliabuild.co.za is an online platform where traders and businesses can list their expertise and have an online presence for your client to find you. Reliabuild.co.za offers you the opportunity to delve into many of the traits & trades that define the people of South Africa. CAN YOU AFFORD NOT TO BE ON RELIABUILD? Aside from being the digital representation of your company or your brand, a successful website is your single most powerful tool to generate leads. If your site is not attracting the visitors you can turn into actual paying customers then it’s not hardworking enough. You should definitely consider reliabuild.co.za to make and use them as a more potent lead magnet than what your own website is today. Reliabuild’s design details such as the site’s layout, typography and colour scheme, is superb. Despite the strong visual representation, Reliabuild’s design follows the lead generation strategy and not the other way around. They make sure you have a strong presence on-line. 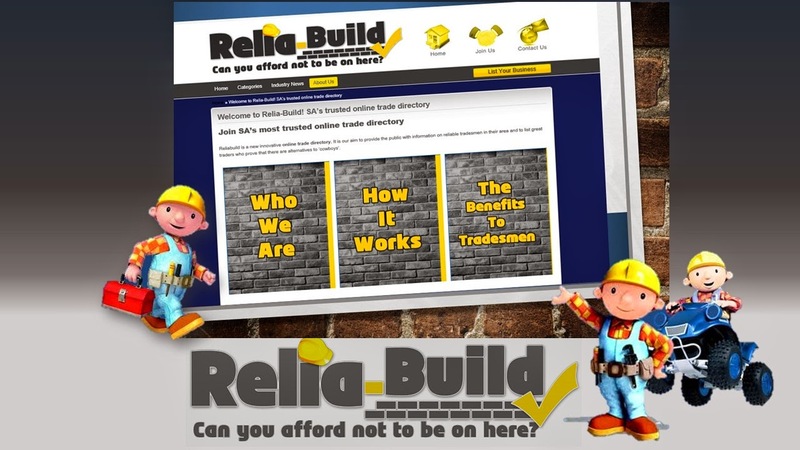 Reliabuild not only designed their website well but also considered and implemented a strong process plan covering important points like; What’s the action plan? What would be the primary lead magnet? What’s going to be the opt-in mechanism? What content to use? Search engine optimisation experts repeatedly emphasise how “Content is King” and it is evident that when it comes to lead generation, content is also a crucial factor. Content management are incorporated across all stages of the Reliabuild website and how it intertwines with their lead generation plan is the secret. Reliabuild ensure that their uploading of new content (and sharing it through social media) is as streamlined as possible to ensure optimum results. Since the main point behind joining the reliabuild.co.za listing website is to generate more leads, you should closely factor your conversion funnel in the design. Once you list on reliabuild.co.za you should encourage your happy clients to go and rate your service and their experience. Interaction on your listing not only provides excellent references that lead to more business; it also ensures increased traffic to your listing. Reliabuild.co.za is the answer! The progression from making an impression, to capturing people as leads will finally ensures more business to their clients and that is the backbone of Reliabuild.co.za. HOW TO LIST YOUR BUSINESS ABSOLUTELY FREE ! YOUR LISTING WILL BE LIVE IN 2 – 3 HOURS! ABSOLUTELY FREE FOR 6 MONTHS! NO OBLIGATION AFTER THE 6 MONTHS! NORMAL LISTING FEE IS R 100 PM AFTER THE 6 MONTHS IF YOU WISH TO CONTINUE! GO ON … GET IN ON THE DEAL! RELIABUILD WINS AD OF THE MONTH COMPETITION! CLAIM YOUR PLACE IN OUR CYBER SPACE.